Also known as "The Facts of Murder." 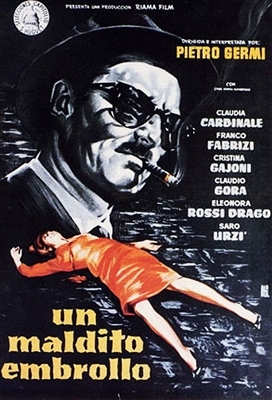 A puzzling crime case is methodically worked out to a solution in this excellent suspense drama by director (and lead actor) Pietro Germi. Inspector Ingravallo (Germi) is charged with an investigation into the murder of the wife of Remo Banducci (Claudio Gora). The good inspector is only human, and he lets his instincts, as well as his personal feelings about people, guide him in his unraveling of the mystery. This technique makes for a close observation of interpersonal relationships, and they dominate the story. In the end, both the murder mystery and the qualities and characteristics of the people involved in the drama share center stage. There are many colorful, entertaining characters in this drama, a police investigation set mostly in an apartment building in Rome. Excellent quality DVD. Thanks, MovieDetective.